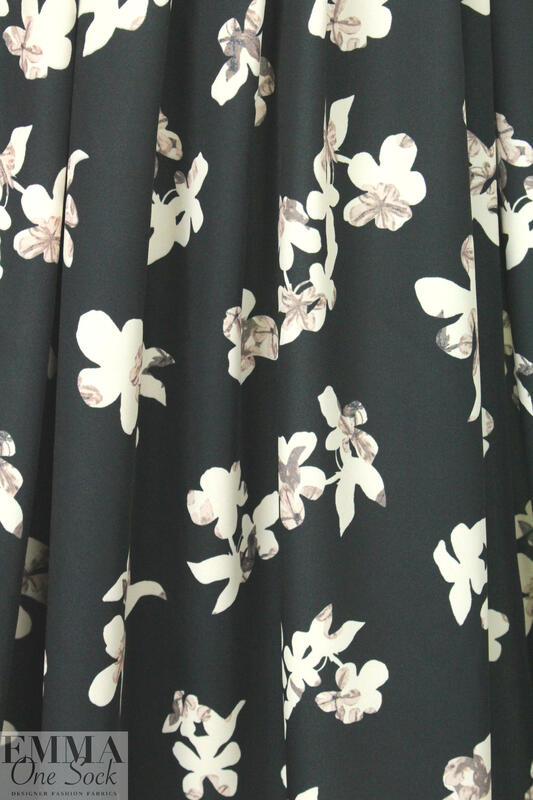 From Rebecca Tayl0r, this beautiful fabric is much like a printed version of our "matte hybrid", with a micro-crepe weave that combines the drape of a heavy silk crepe with the stretch of a heavy matte jersey. 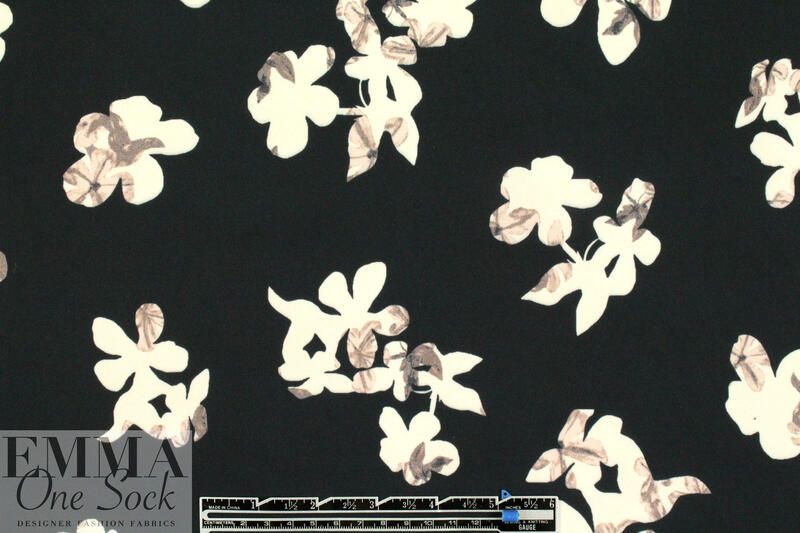 It has about 15% widthwise stretch, and is great for for travel (no wrinkling! ), opaque with some body in the drape. 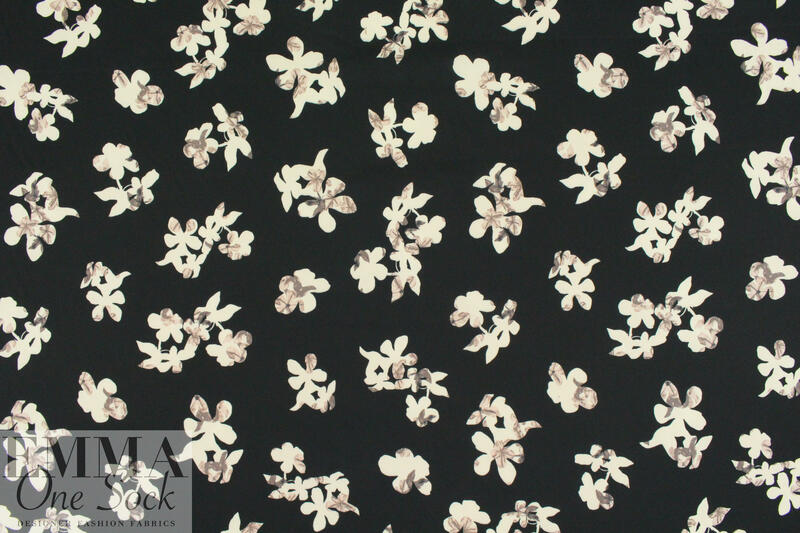 The gorgeous "dreamy petals" design features a black background with flowers in shades of beige and mocha (PANTONE 11-0107, 17-1506, etc.). 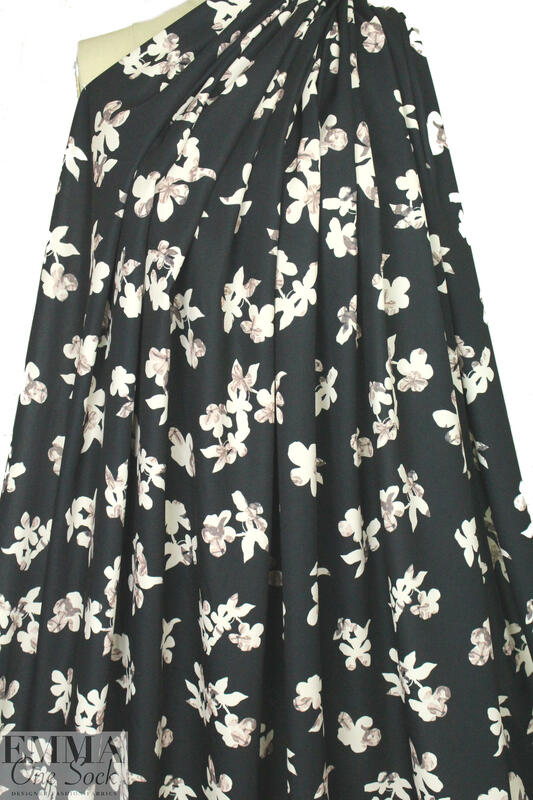 Perfect for dresses, skirts, pants, tops, jackets, etc. Please test first: Machine wash gently, cool, hang to dry.